When a person or business needs a lawyer, they need someone to fight for them. A client needs a lawyer who will fight in court, in a mediation or other alternative dispute resolution venue. If your lawyer is going to be aggressive, it helps to have the preparation and courtroom experience to backup that assertive position. Mr. Leibowitz has the experience to know when it is time to take a lawsuit to court and when it is time to aggressively negotiate. If a business has had the audacity to breach its contract, it is not going to capitulate because a lawyer asks it. If a prosecutor wants to lockup you or your loved one, the State will not simply roll over. If a parent is fighting for what he or she treasures most in the world, their child, nothing will suffice but an aggressive approach. Great results come from being aggressive. Whether you or your company is facing a business lawsuit, contract law claim, criminal or traffic charges, a divorce or a custody dispute, Mr. Leibowitz will take a tailored and innovative approach to your case. Sometimes that means challenging the constitutionality of a law. Other times, Mr. Leibowitz will bring novel or out-of-the-box claims to best position his clients for success. Because two people or two businesses are never the same, a lawyer should never take the same tack in every case. Even in a negotiation, mediation or other alternative dispute resolution, it can be critical to take an innovative approach to a matter. 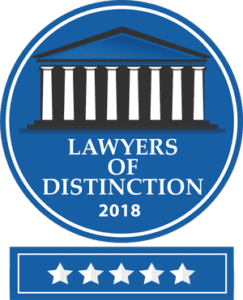 Judges in Montgomery County know that Rockville attorney Louis M. Leibowitz is innovative and creative, while always adhering to the highest standards of professional ethics. Great results come from creative thinking. Mr. Leibowitz is known by lawyers and judges as one of the most prepared attorneys in Montgomery County. Whether he is representing a client at a trial, hearing or mediation, Mr. Leibowitz is always the most prepared person in the room. Many cases are won or lost before the lawyers even enter the courtroom. By researching all of the legal issues, tracking down all of the evidence, talking to all of the witnesses and commanding all of the facts, Mr. Leibowitz is always fully prepared and, therefore, well-armed to achieve the best possible results for his clients. Business and individuals are at an advantage when the most prepared lawyer is on their team. When you take an aggressive approach, it helps to have thorough preparation. Whether your case is in Rockville, or elsewhere in the Maryland or the District of Columbia, Mr. Leibowitz will be ready to fight with you and for you. Great results come from preparation. Contact our offices today and speak to Mr. Leibowitz.